Tired of the mundane? 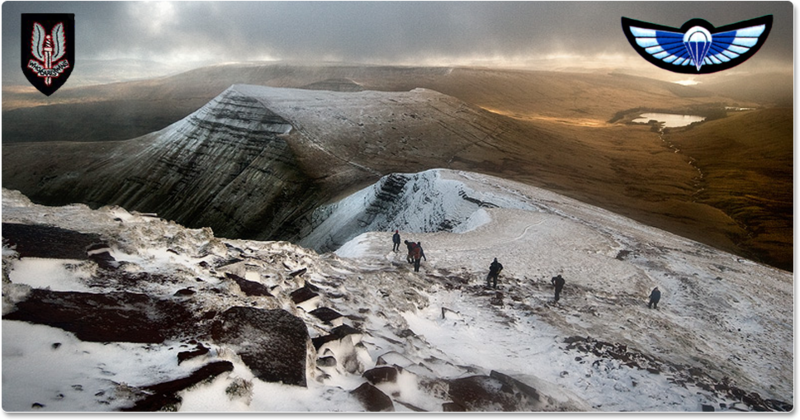 Be part of ‘The Fan Dance’: the ultimate SAS fitness challenge in the stunning Brecon Beacons on Saturday 19th January 2013. If you love the rugged British countryside, breath taking scenery and the amazing sensation of your body working hard you will not want to miss the ‘Fan Dance’. For the first time ever, ex-SAS soldiers are giving you the opportunity to compete in a race along the mountainous 24km route of a genuine test they have to pass on the Special Forces Selection course. The event takes its name from ‘Pen-Y-Fan’, the highest peak in the Brecon Beacons National Park, which competitors will have to cross not once but twice during this unforgettable experience. This event is not only for super fit athletes and fell runners. Simply finishing the event is a huge achievement and all entrants will be rewarded with a finisher’s medal and goody bag. There is no time limit and each person is only competing against themselves, meaning all can walk away with a huge sense of pride and achievement after participating. All ages are welcome and you can take part as a sponsored runner for your favourite charity or cause. Be sure to not miss this unique opportunity, visit the website for more information and register early as interest is huge. of folks will pass over your wonderful writing due to this problem.